1 | orange skinny cords – sorry kids, jcrew is sold out of orange. youll have to find these guys on ebay! 2 | white button-down tunic. i got mine at the jcrew outlet this time last year. these aren’t too hard to find anywhere though! 3 | orange/maroon patterned scarf – you can find these anywhere after some searching. the one above i will NOT be wearing, seeing as it is way out of my budget, and i will not be purchasing a $400 scarf anytime soon… or ever. whoops! my links expired for 4 and 6. in case you’re wondering…the orange bangle is from forever 21, and i believe the maroon was marc jacobs (i think!). that’s what i get for jumping the gun and making the inspiration board too soon! oh well! happy hokie shopping! see y’all in charlotte this weekend!!! I was such a bad little blogger yesterday! I pretty much forgot to do the most important post in the series: I'm so THANKFUL for the special people in my life. Since this is such a special post for me, I'm waiting until I have a real computer with my pictures to post it. I'm currently posting this from my dad's iPad, and I must say, it's not very blog post friendly (aside from capitalizing the P in iPad). Thanks, I really needed that! I couldn't even post the link up picture if I wanted.... More to come (with my thankful post catch-up) soon! a year ago today, my very best friend lost her dad unexpectedly. he was such an amazing person, and we were all so lucky to have known him. below is a little snippet from our show last saturday, and i'm posting it today in remembrance and celebration of a life that ended too soon. day 7: plenty to be THANKful for: THANKSGIVING TRADITIONS! traditions are my FAVORITE! sometimes i even try to instate new traditions in my family. emphasis on try : homemade cinnamon rolls on christmas morning just weren’t my forte i guess? luckily i don’t have to worry about the cooking just yet! my #1 favorite thanksgiving tradition is …. 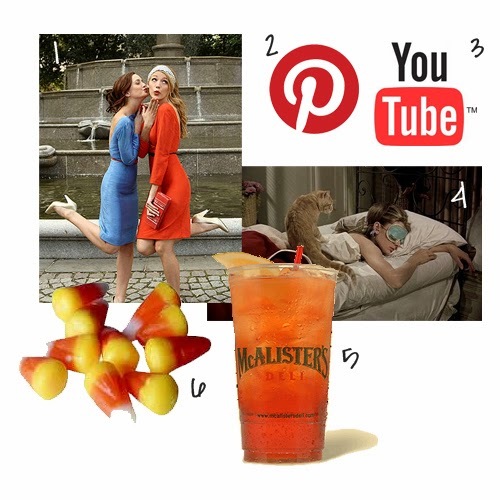 stuffing my face - closely followed by #2, the thanksgiving afternoon nap. being recently married means that i get to have 2 HUGE thanksgiving meals thursday (lunch with my fam, din with andrew’s). that nap is going to be essential to my survival seeing that’ll be miserably full…it’ll be SO worth it, though! notice that i posted times and networks above! please be sure to cheer on the good guys! if when tech wins against uva saturday, planning can begin for the acc ‘ship! hooray! and it’s not like shoedazzle or whatever that require you to sign up and pay for shoes each month (that i know of) just an array of shoes for $80 that if you like, you buy! we’ll see how things go on friday during it’s launch. 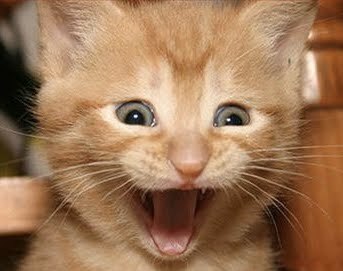 i'm really excited! i love rachel bilson’s style – you can catch her in anything, really – boho/tomboy/soft and feminine. i'm sure the new site will reflect that as well! whoops! none of these pics show her shoes! haha! click here to sign up for email updates (no obligation to buy) and to see their selection on friday! yay! day 5 of the THANKful challege: today, i am thankful for the 21st century. ok, so maybe i'm going to stray from the 'inventions' path that this could take and make it about me. i'm allowed, it's my blog! so yes, i am very THANKful for the 21st century, because without it, it would still be 1999, i would still have braces, and would not have met these awesome ladies...yet! i know you’ve seen it on pinterest. avacado grilled cheese. SO GOOD IN MY BELLY! i put mine on ciabatta bread and, like the original recipe, used pepperoni and avacado. i ended up using packaged mozzarella (because it’s cheaper) and it was still SO good! i made it once for dinner last night for and made extra for lunch today. added pesto the 2nd time around and it just adds a little something extra. now, on you go! thankful post coming later this afternoon! yay! look at me! i'm on a roll! day 4: i'm THANKful for the blogoverse! 1 | ribbons, ruffles, and bows! OH MY! 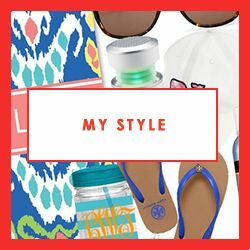 - one of my best friends and fellow carrie underwood lover, alex, has a super cute blog and is quite the consistent poster! she has a keen eye for up-to-the-second fashion and always knows what’s up in the land of hollywood gossip. my go-to gal for… everything! 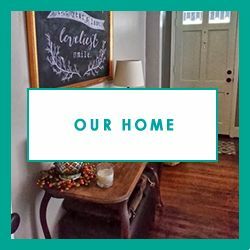 2 | keeping up with the joneses - my friend of a friend, kendall, will wow you with her martha stewart-esque decorating and organization skills and will then serve you an amazing meal. and she’s gorg… geez. all of my friends are not-so-secretly obsessed with hooked on her life as well! 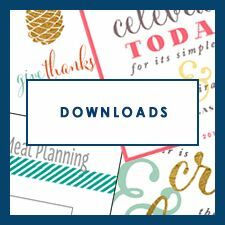 3 | small things blog - along with everyone else, pinterest got me hooked on this little bloggy. seriously, i think it’s hilarious that kate got recognized recently by a stranger on the street (or, really her hair did!) from PINTEREST! crazy! she lives in raleigh, and i wish it was charlotte, because we could be friends in real life, and our cats too! yeah, i'm crazy, i know. 4 | ohhh whitney english, you are so pretty. haha. i've had a long time obsession with paper companies. is that obvious? and whitney english is one of them. their blog expands beyond the paper industry and offers some amazing design ideas for fashion, home décor, and other stuff. i think that wraps it up! oh ps. i'm wearing my new ORANGE corduroys today – showing my HOKIE spirit! hopefully i'll get a pic up later! i say hometownS because i've lived equal parts of my life in 2 cities which i call “home”. both of which i am incredibly thankful for as well as the friends and family that still reside there. the helena bridge that connects arkansas with mississippi. so glad they took down the sign that said “welcome to arkansas, birthplace of bill clinton” yuck. my godmothers house, and previously my great grandmother’s, nbd. gorgeous. i have pictures of me in diapers climbing the stairs inside. oh, and it has a bowling alley in the attic. fun fact: actual civil war cannon balls were found in (or around?) the house during its restoration! 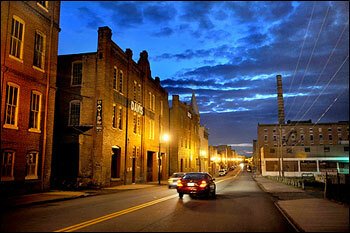 2. danville, virginia is where i graduated high school, had my first job, and met (and married) my awesome husband. i really enjoy visiting danville because that’s where both of our parents live. it’s always such a relaxing trip – filled with good food at every meal thanks to andrew’s sweet mama! hey that’s me! -- in downtown danville! it really is a nice place to live. andrew and i really enjoyed our first year of marriage living in our little apartment downtown. 3. just because i can, i'm adding one more ‘hometown’ to my list. blacksburg, virginia. 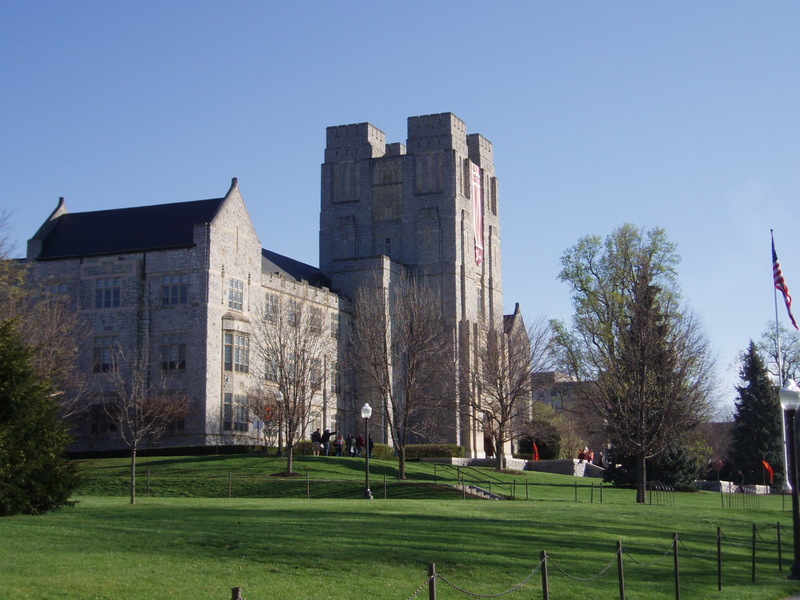 i'm always in the BEST mood anytime i visit blacksburg! 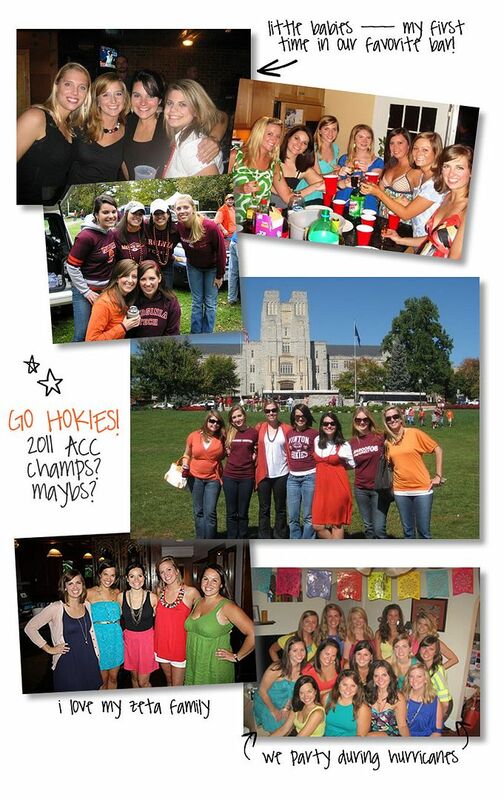 i really think that every hokie considers blacksburg their hometown in one way or another. on that note, GO HOKIES!!! we play UNC tomorrow night and it would be GREAT to get another win! i've really enjoyed this challenge so far. it’s great to be mindful of the so many ways we’ve been blessed – and be thankful for those things. Day 2 of the THANKful challenge is: YouTube and other internet fun. kandee johnson is queen of makeup tutorial land. anytime i want a new look for a special occasion (or everyday?) i go straight here! plus she’s really fun, bubbly, and SO positive – it’s so nice to see someone so blessed (in the looks department) with such a bright outlook! 2nd up, i always have to check out and see what miss jayme dee is up to. i really enjoy watching her music covers – she doesn’t sound like anyone i've ever heard before. i may or may not draw a little (or a lot) of inspiration from her when i'm performing live! your daily dose of cuteness…. this has GOT to be one of my all-time favorite videos. i can’t help but laugh out lout when they come bouncing back around the corner! SO FREAKIN’ CUTE! ya’ll have a wonderful afternoon! p.s. if you’ve popped from the blog challenge, i'd love it if you FOLLOWED me! oh la la! i just can’t resist a challenge. 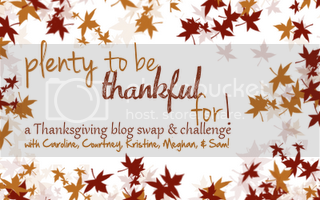 taking after my best gal, alex, i'm going to make my best attempt at the “plenty to be thankful for” blog challenge. i'm glad to catch this on the first day – maybe it’ll give me that extra push i need to go all the way! even though i'm not participating in the blog swap, this’ll be good to get me in the habit of consistent blogging! todays theme: Today, I’m thankful for my GUILTY PLEASURES! 1 | in my opinion gossip girl is a way better option than teen mom or anything vampire. plus, the fashion is way better! i may or may not have the past 2 seasons already on my amazon wish list. 2 | this goes without explanation – because if you’re reading this right now, you probably have an addiction to pinterest too! 3 | i could stay on youtube for HOURS. makeup tutorials, music covers, and funny kitties consume my lazy sunday afternoons. 5 | sweet tea. preferably mcalisters, but bojangles, mcdonalds, or panera will do. 6 | candy corn. ONLY brach’s. nothing else will do! lucky me – i'm still polishing off my bag leftover from halloween! i hope everyone has a wonderful week! – remember to be thankful! mercury glass. obsessed with it. succulents - hopefully they're low maintenace. i can barely keep a fern alive. ps. check out my girl carrie. so since it looks like my hokies came through tonight and that my lovely friends will be making the trek down to crown town this winter for the acc championship (fingers crossed!) – i've decided to share some of my favorite charlotte/nc stuff in and around the webs. enjoy! it’s no surprise that i love this button/bottle opener/mirror and think it hilarious. primarily because when i get a little booze in me, i tend to speak with allll sorts of different dialects. they can be purchased in a few places i've found around town or here at their etsy shop. i've seen some pretty funny items and tshirts describing (to a T) the neighborhoods and different areas of charlotte. check it out and buy me one while you’re there! so. freaking. cute. leave it up to inviting company to make an awesome notecard for MY city! i've had a long-time obsession with the company and it’s being fueled sufficiently by these incredible designs. sorry, dc/richmond friends – guess you’ll just have to move here to get a custom notecard designed for your city. oh ps. hit up their line of state designs here. and just take a drive down queens road west - you won’t regret it. i cannot WAIT for hokies to start showing up in charlotte so soon. at every get-together, andrew and i are usually cornering one of our friends and blackmailing kindly persuading them to move here! 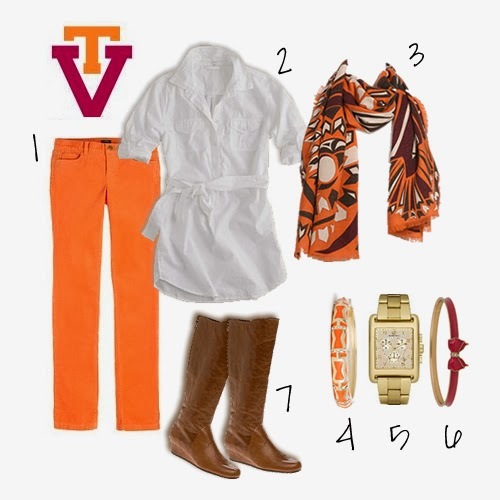 with the upcoming game, you can bet there will be a hokie acc ‘ship gameday attire post coming soon. find it here! 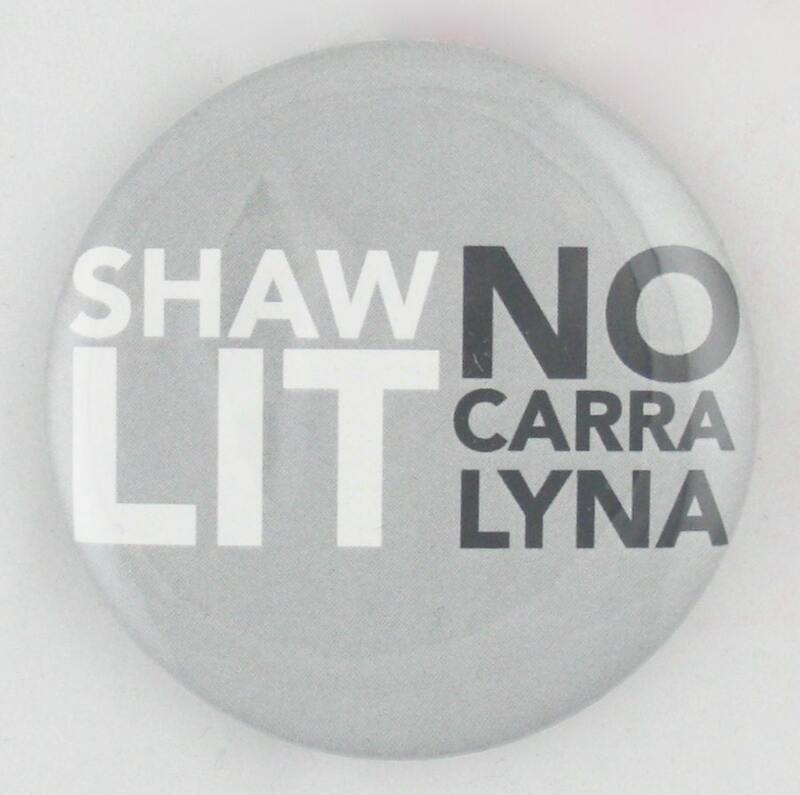 i will procure this soon. just you wait. i’m going to keep this short and simple. i love a lot, but i’m going to just hit on some basics. i’m LOVING my new boots – not so new anymore. i got these pretties in september for my birthday, but they’re still new to me, whatevs. i wear my boots about 3 or 4 times a week and get compliments on them ALL THE TIME! they’re much richer than the photo appears, not too casual with the little wedge heel, and lucky you – they’re on sale! buy them here, now. do it. i’m LOVING essie and their polishes. i might be the last person on earth, but i recently started using essie because, before, i figured ‘nail polish is nail polish’. i stand corrected. with 1 stroke, i could certainly tell the difference. AND to make it better, i was able to get 2 polishes for HALF OFF at CVS because they were ‘last season’s colors’. OKAY IF YOU SAY SO! 1. really red is never out of season and 2. last time i checked mauve is definitely a fall/winter color! man oh man, have we been busy. andrew and i have lived in charlotte for a little over 10 months now – almost a year, and it’s so hard to believe! mostly because we’ve barely spent any time here! so many friends have entered the world of matrimonial bliss, and we’ve been along for the ride. the fall and summer have been filled with showers, parties, weddings, and SO much fun! we are still very much in love with our new city and neighborhood! i’m currently working 2 part time jobs, one in web design and the other in print design. i’ve really enjoyed the flexibility of my schedule and learning SO many new things! we just got wind (as of last friday) that andrew is getting a little promotion at work! big smiles all around for recognition of AWESOME work on his part, but big frowns for more hours he’s gotta put in. i’ve assured him that the payoff ($$) will eventually be worth it! and, of course, like everyone else in the interwebs, I make a daily stop (or seven) on pinterest - falling short at #2 behind diet coke in the addiction rankings. that’s a short but sweet post for the day! i’ve still got a long list of to-dos at work today and a big night tonight. i've recently made singing more than just a hobby! a few times a month, i've been singing at various locations in the charlotte area. tonight, see me here – fo FREE! for more information on our band (!!!) you can check out our facebook, youtube, and twitter accounts. YAY! go me! 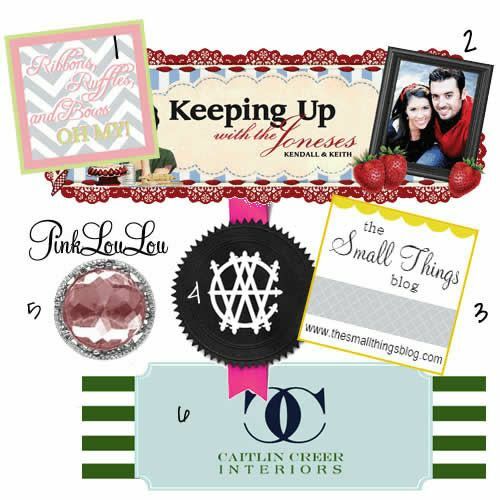 new post again tomorrow for “what i’m loving wednesday”! one of the things that i look forward to most on fridays is my good friend alex’s friday five blog posts! since it’s been such a big hit, she’s decided to FINALLY start letting us link up. head on over there to play along and comment on how awesome her new blog template is! *wink*wink* now that my friday is more than halfway over, i’m posting some of my favorite things that are getting me through today (so far) and the weekend! 2 | after taking a 4 mile walk to get to this place today, i was convinced that yes, it was in fact worth every stride. not that bad for you, but VERY good to your taste buds. + charlotte has 3 locations! 3 | my nails are in dire need of a mani. even if i wind up doing it myself to save some pennies. i’ve been hooked on coral-y orange colors lately, and i think this (tart deco) is just the shade to carry me into spring. 4 | this could be on my list only because we met the CEO last night at a bar, but dude makes some pretttty good beer. check them out and have fun saying bad words while placing your order! 5 | i’ve been sporting these pretties since christmas, and no matter what i’m wearing, they make me feel dressier and in-style. plus, the old school wayfarer style looks great on anyone. i hope everyone has a wonderful weekend and gets outside to enjoy this gorgeous weather! it’s only february! what a tease!